Do you ever feel like you are in that Ikea commercial? Where you find a treasure and you feel almost like you were stealing it was such a good deal, and you want to run and tell your hubby to "Start the Car!" before someone figures it out? 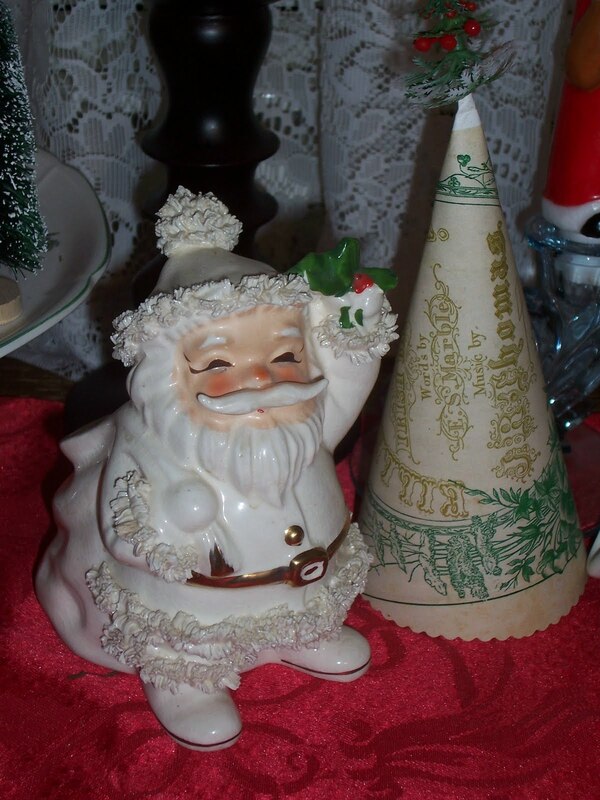 Well this cute white Santa planter left me ready to yell to my hubby..."Honeyyyyyy! Start the car!!!" but I went to the flea by myself! I won this precious snow lady from Shari Repologie of Plays with Paper...isn't she darling? Talk about falling in love- She just warms my heart! 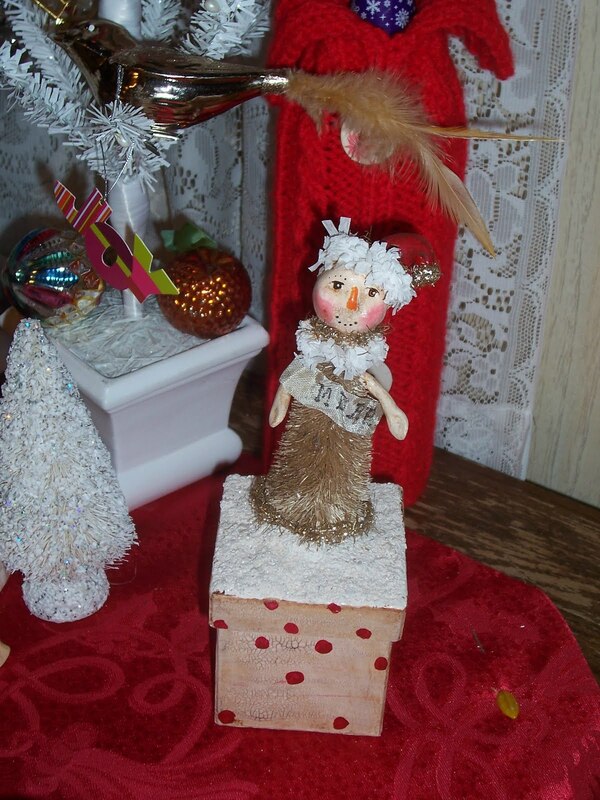 Go visit Shari's blog, you will find lots of wonderful inspiration! Well, blogger is locking up on me and I can't download anymore pictures so for now, Happy Holidays to you all! I hope you are happy, healthy and have a safe fun holiday! See you in the new year!